Today, the Ocean Float Room is designed to create a space that is ideal for relaxation and rejuvenation of your mind and body. 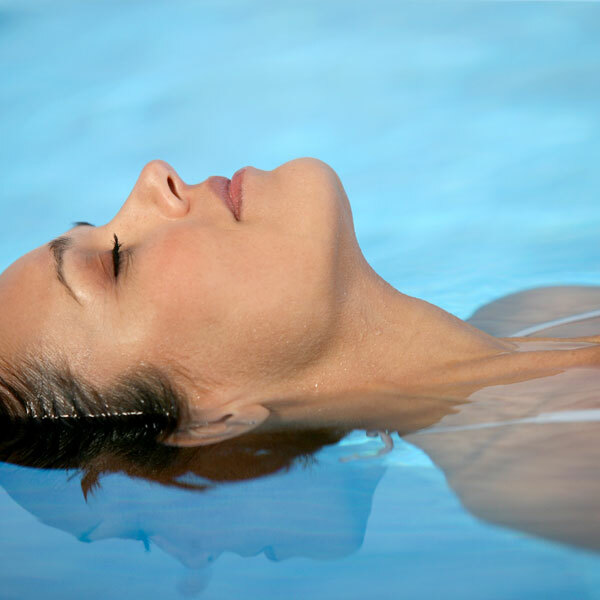 Research now shows that the effects of a two-hour floatation session are equivalent to eight hours of deep sleep, making it one of the most efficient and comprehensive relaxation techniques available. Research indicates that the brain is constantly responding to gravity and sensory input and that occupies 90% of all central nervous system activity. In 10 inches of dense salt water, due to 1200 pounds of Epsom salt, you will float effortlessly while lying on your back in a calming place. This serves to make the part of your brain that is adapting and adjusting to gravity redundant leaving one more able to connect to the right side of the brain where new connections, perspectives and healing occur. The water is heated to an average skin temperature, which reduces the sensation between body and water. There is a door to the room that you can keep open or close to block out any distractions. Although the float room is enclosed, it is not airtight. There is air circulation that brings fresh air into the room, which adds to the relaxing and completely safe experience. In the Ocean Float Room, one has the option to display a blue light, a starry skylight, or no light, to help assist in their float journey. More information on our Ocean Float Room.